DOBANI 7.5 Inch Ratchet Single Wooden Long RATSL. Wooden Ratchet, Single, Long. 7.25" long the sheesham, tongue locks into a gear, creates a loud clack-clack-clack-clack when spun. Since this is longer, the clack is lower. 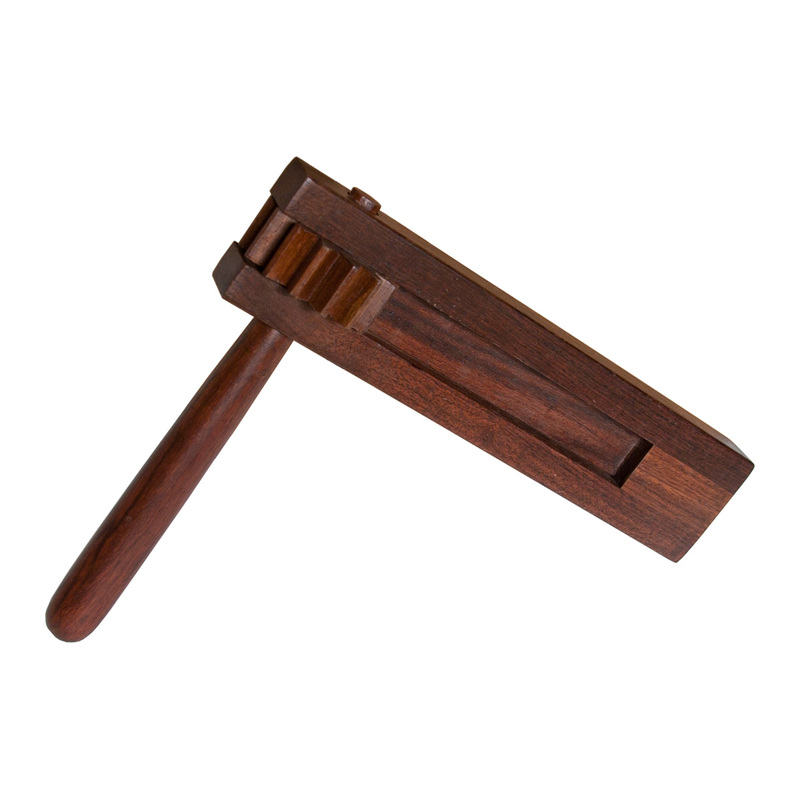 DOBANI 7.5" Rosewood Percussion Ratchet Clacker is compact, well made, and loud.